 At Copper Kitchen Specialists, they strive to help homeowners attain a unique and distinguished centerpiece to complete their kitchen build or remodel. 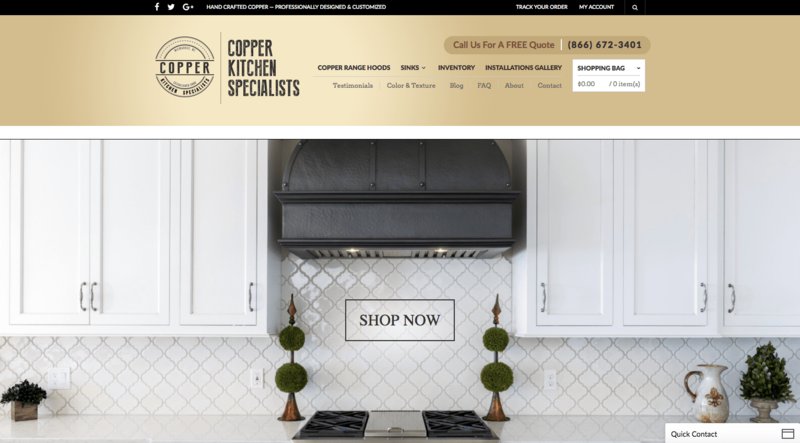 From design and function to aesthetics, they understand that a copper range hood or copper sink is a feature that homeowners want to showcase and enjoy for years to come. Top Floor created a series of automated emails, otherwise known as email drip marketing, to be sent every time someone added their email through the website pop-up. 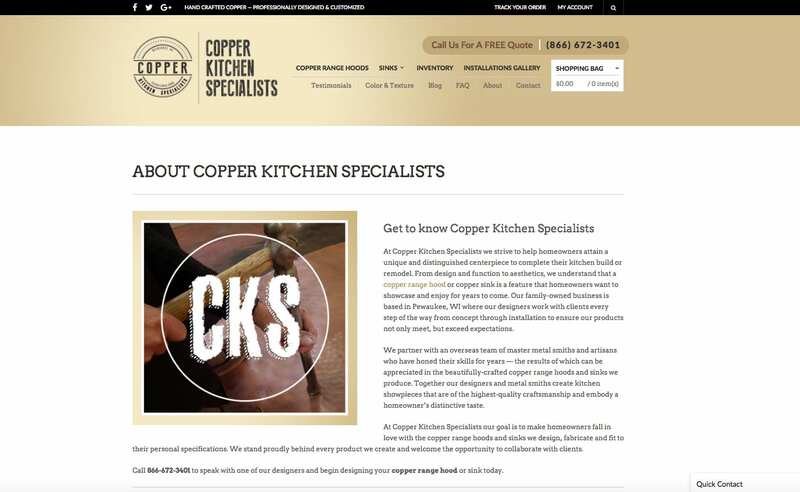 The automated campaign lasted 3-months (the average customer sale cycle for Copper Kitchen Specialists). What was so special about this campaign was Top Floor’s decision to seek out the help of interior designers for content. 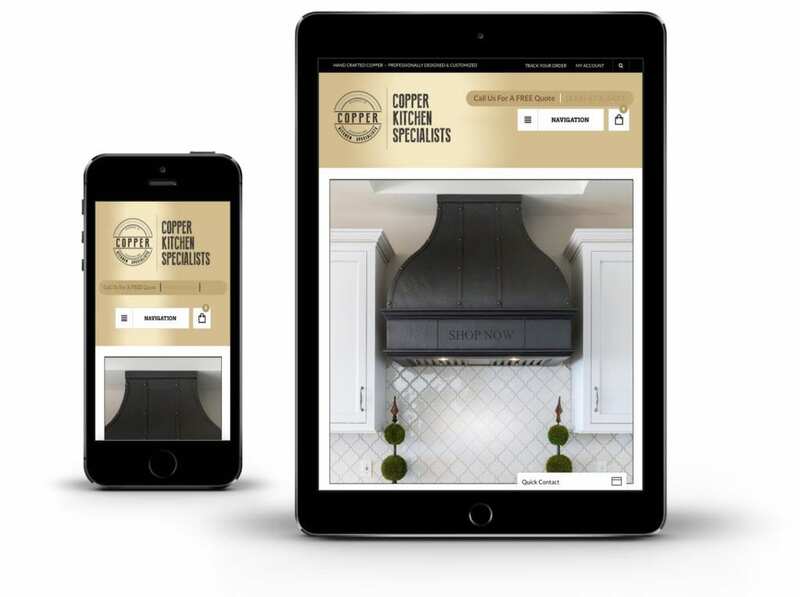 The designers gave their professional opinions alongside featured CKS copper range hoods which provided both expert insight that users could trust, as well as a sponsorship for that could be beneficial in the long run. There were 12 emails throughout the duration of the campaign – one “introduction” email, six designer insight emails, four sale emails, and one “closing” email to round out the sales cycle.  Top Floor’s marketing efforts continue to be felt every time someone opts to add their email in the website pop-up. 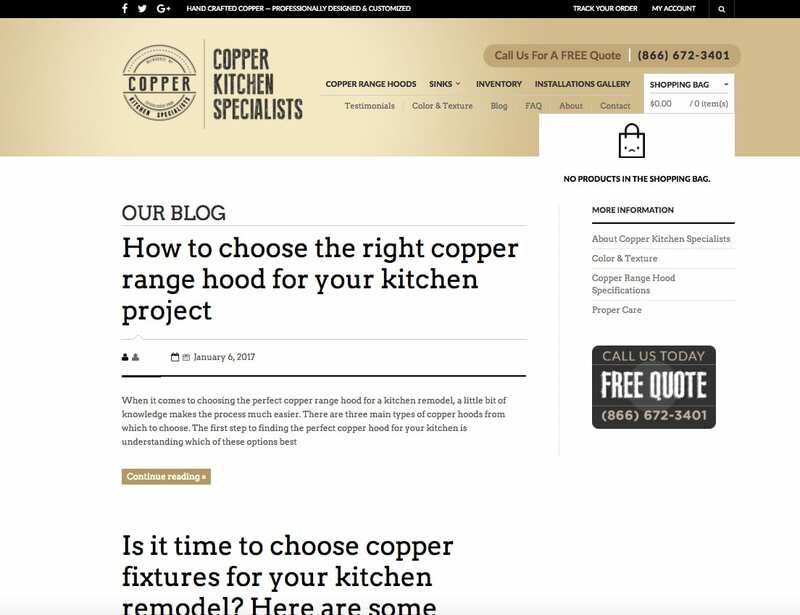 Top Floor quickly realized that Copper Kitchen Specialists was the lacking accompanying content for their website, especially their gallery of finished kitchens, which would explain in design terms how certain hoods were being used and why they were chosen.  However, CKS had limitations on what services they wanted to invest in – and neither content or SEO were one of them. 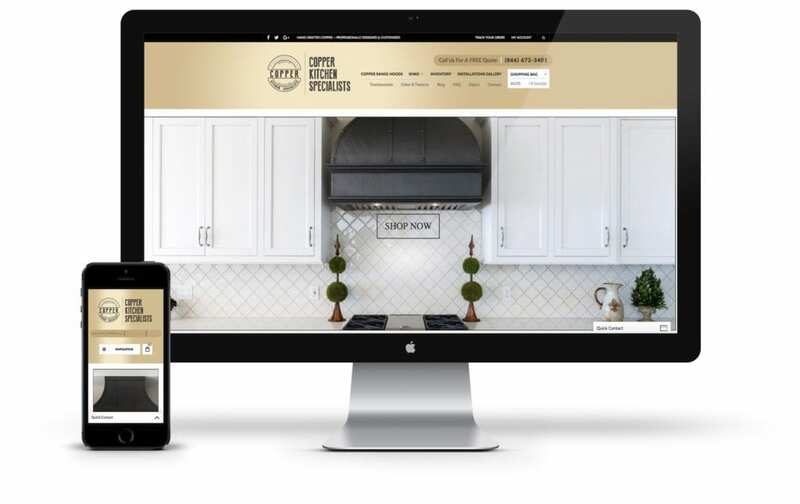 The Top Floor team made the recommendation to implement a 3-month, email drip marketing campaign to target DIY homeowners interested in doing their kitchen projects themselves – who happen to make up 50% of CKS’s clientele. 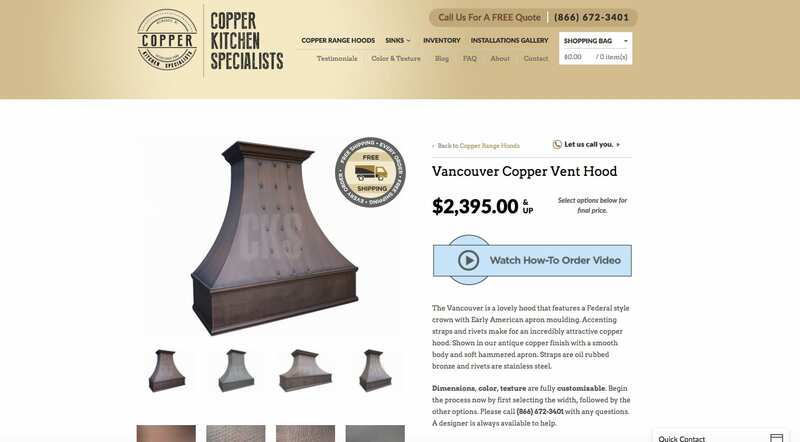 This allowed greater lead generation by helping guide this audience to the right copper hood selection. Since implementation in March 2017, Top Floor’s drip campaign has accounted for 23.83% of new sessions on the site. 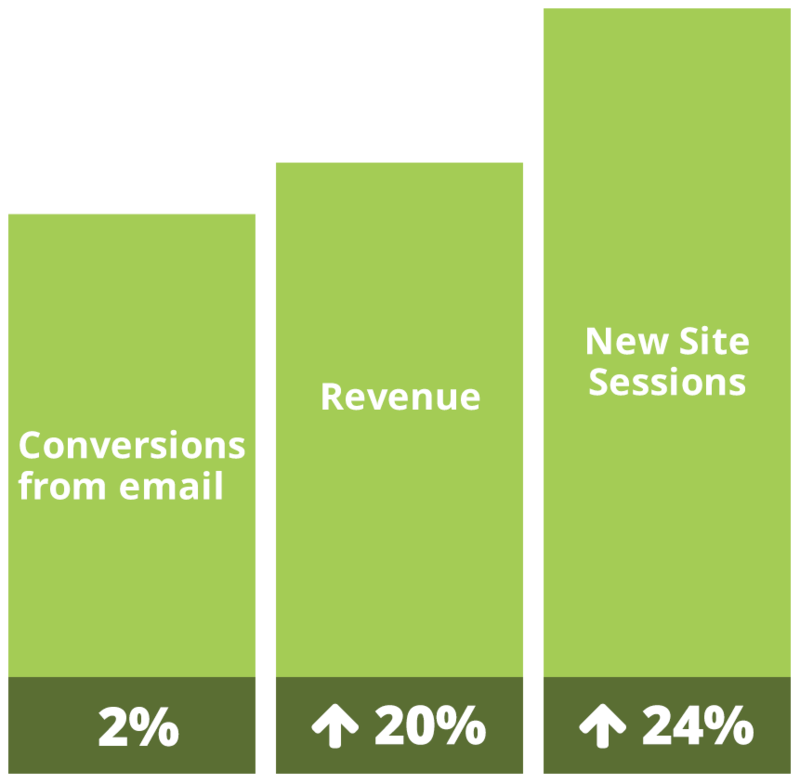 Overall, the site has seen an increase in revenue by 20.07% since the previous period.